Are you uncertain who to contact, or do you have questions about an online training class? Please refer to this Using the Registry flowchart (PDF, 191.81 KB) before attempting to contact ND Growing Futures. 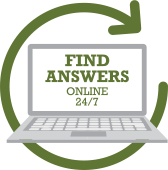 You may also visit our Help Center where you will find answers to many questions regarding training, accounts, and more.